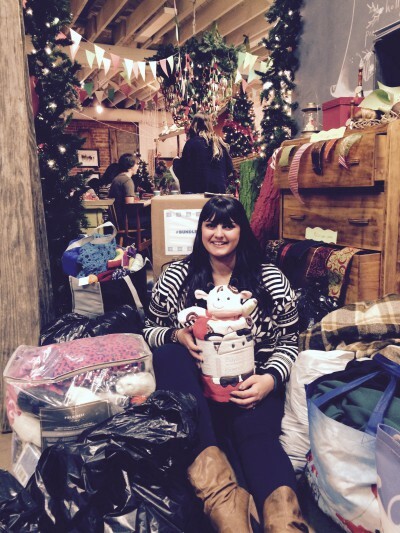 I can’t begin to express my gratitude for the love and support #bundleupyeg has received this year. Between collaborations with Ashley Green to create #bundleoflove and support from Edmonton’s 102.3 Now! Radio, this year’s #bundleupyeg campaign quadrupled last year’s numbers with an estimated 160 bags of warm clothing donations in 2014. This initiative has not only helped warm up those in need, but it has completely warmed my heart. I had no idea when I started this thing in 2013 that it would grow to the level it has today. Although Dec. 22, 2014 will be the last day for #bundleupyeg until next season, I encourage you to continue donating any warm clothing you have to spare to the wonderful homeless shelters and support organizations that do so much for those in need in our city. Thank you. For your kindness, support and willingness to donate. Without all of you, this would never have gotten off the ground.